The latest case is separate from the judgment in December that fined Milan €12 million and threatened a one-season ban from European competition if the club fails to break even on transfers, wages and other football-related expenses in June 2021. If it fails to comply, UEFA said then, it will be banned for the next UEFA competition it qualifies for in either of the 2022-23 or 2023-24 seasons. UEFA also limited Milan to registering 21 senior players – instead of 25 – in its squad for the next two seasons of Champions League or Europa League action. Under UEFA’s financial rules, clubs are not allowed to make losses of more than €30million over three seasons, a ceiling UEFA believed AC Milan breached between 2015-17 when they spent €200 million on transfers. In a short statement on Wednesday, UEFA announced that the investigatory chamber of its Club Financial Control Body was sending a new case to its adjudicatory chamber, this time for the three-year period between 2016-18. “This referral is not related to the decision that was made by the CFCB adjudicatory chamber in December 2018 concerning the previous monitoring period and was covering the reporting periods ending in 2015, 2016 and 2017,” it said, adding that AC Milan have also appealed against the December ruling. 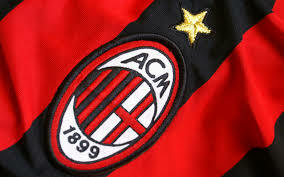 AC Milan are currently fourth in Serie A, five points behind city rivals Inter, with seven games to play. They have also reached the semi-finals of the Italian Cup. Former Arsenal chief executive Ivan Gazidis has been running the club since December.